The City of Light • View topic - Genesis of man and universe - pre-vedic science. Genesis of man and universe - pre-vedic science. 311.040.000.000.000 years of human and cosmic evolution. 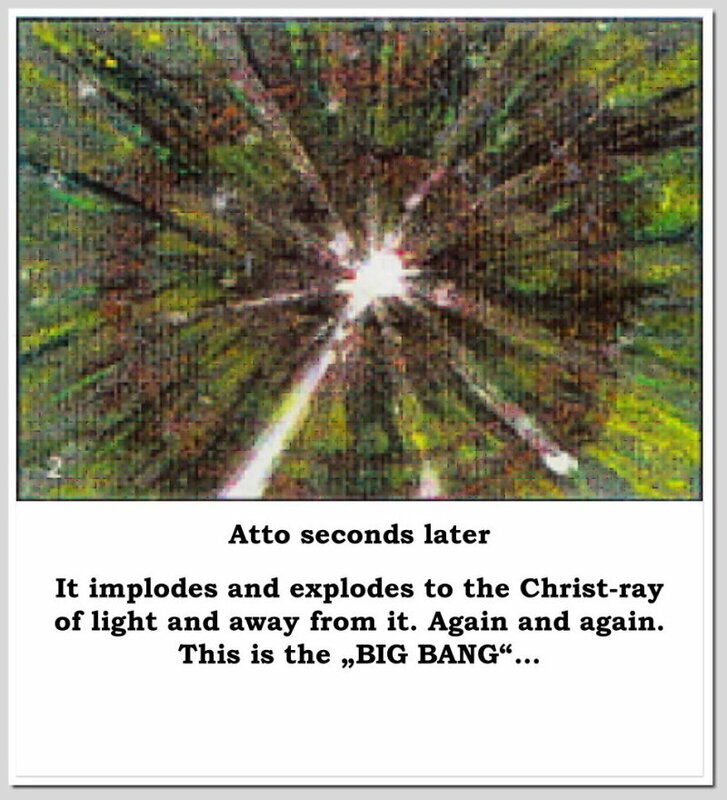 From the relative beginning (big bang) to the relative end of time. Where we come from, who and where we are, and where we go to. Oh Mahâ-Chohan! When did all start, when will it end? - Oh, Lanoo! 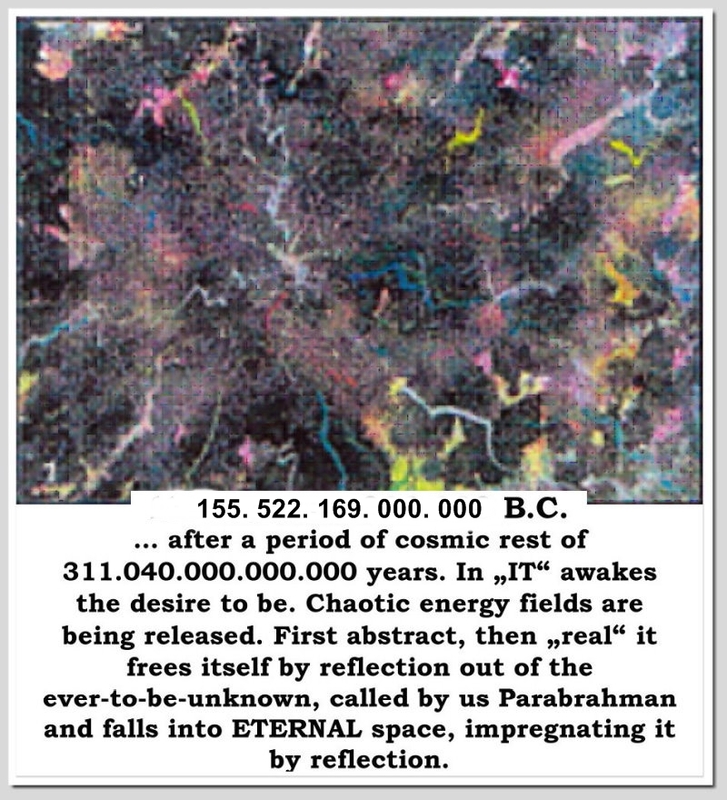 There is a periodic, cosmic awakening out of the ever-to-be unknown and unknowable to 311.040.000.000.000 years of cosmic activity, followed by a time of cosmic rest of same length, followed by cosmic activity and rest and activity and rest and so on. But, there is and there never was a beginning and there will never be an end to these periods of cosmic activity (Manvantara) and of cosmic rest (Pralaya). Those are ruled by the law of karma and reincarnation. What you sow you shall reap, life after life. And no one, I say no one, is able to escape this law. Harm will happen to those, who abuse their power over the people. They will suffer. Again and again. Life after life. Until theylearn. Until they understand. AUM. …after a period of cosmic rest of 311.040.000.000.000 years. In "IT" awakes the desire to be. Chaotic energy fields are being released. First abstract, then “real” it frees itself by reflection out of the ever-to-be-unknown, called by us Parabrahman and falls into ETERNAL space, impregnating it by reflection. 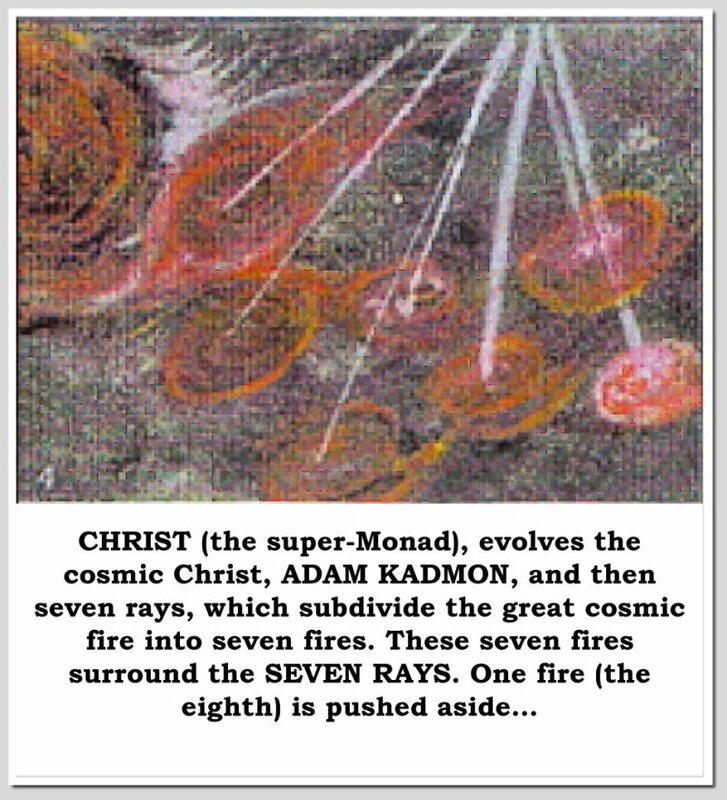 Chaos transforms into a cosmic sea of akasha fire (superether) and rotates around the Christ-ray of light. 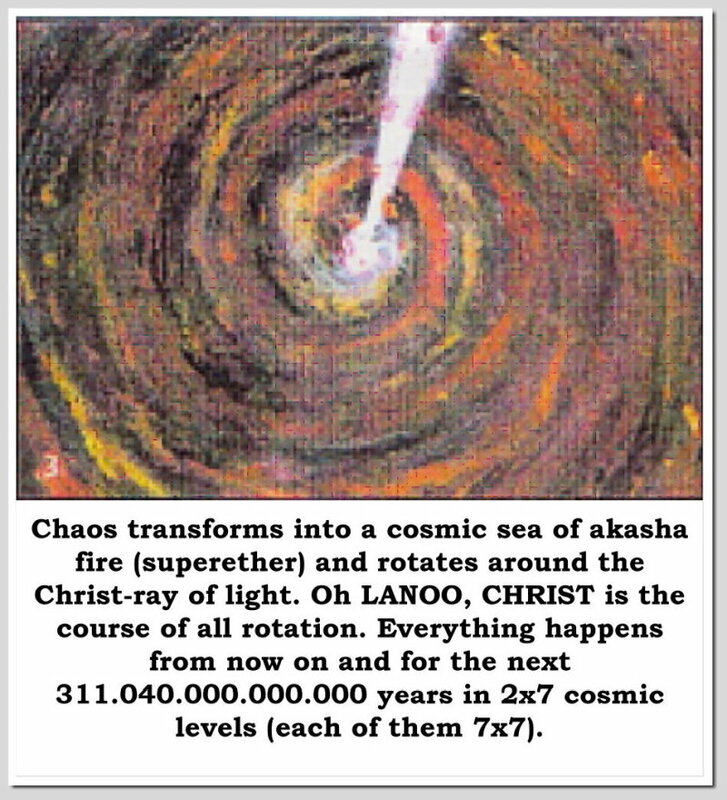 Oh LANOO, CHRIST is the course of all rotation. Everything happens from now on and for the next 311.040.000.000.000 years in 2x7 cosmic levels (each of them 7x7). 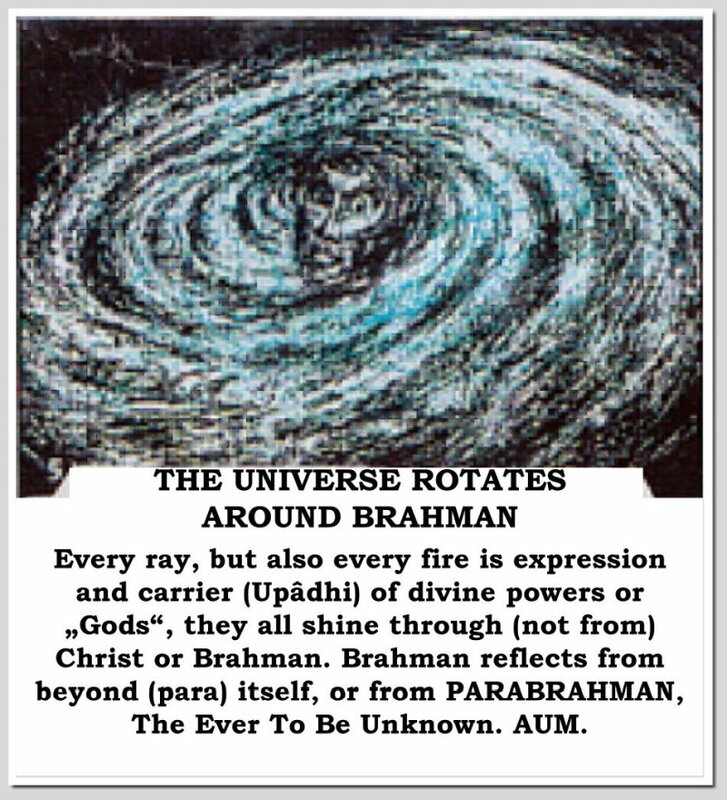 Every ray, but also every fire is expression and carrier (Upâdhi) of divine powers or “gods”, they all shine through (not from) Christ or Brahman. Brahman reflects from beyond (para) itself, or from PARABRAHMAN, The Ever To Be Unknown. AUM. The great fire wants to devour the smaller fires. 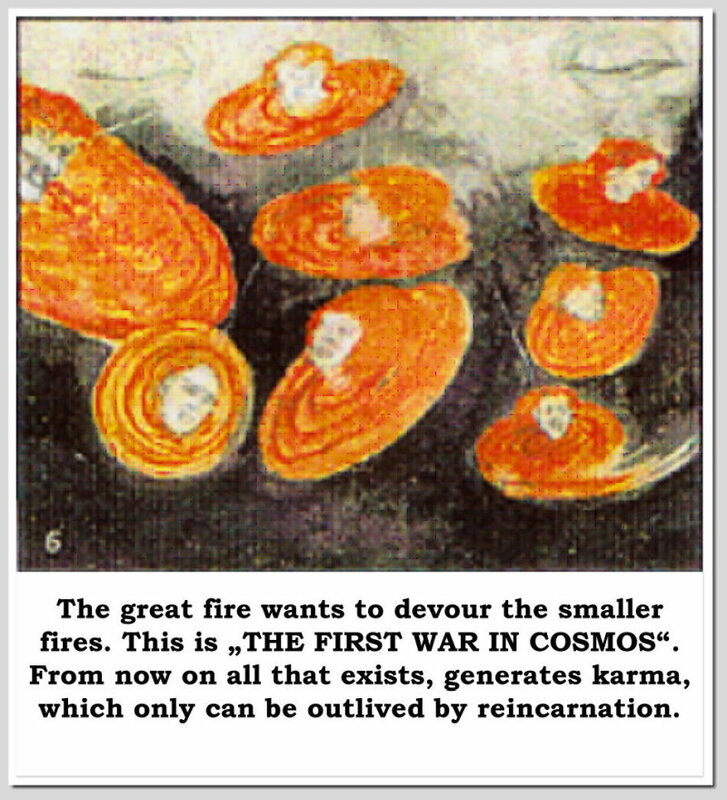 This is "THE FIRST WAR IN COSMOS". From now on all that exists, generates karma, which only can be outlived by reincarnation. 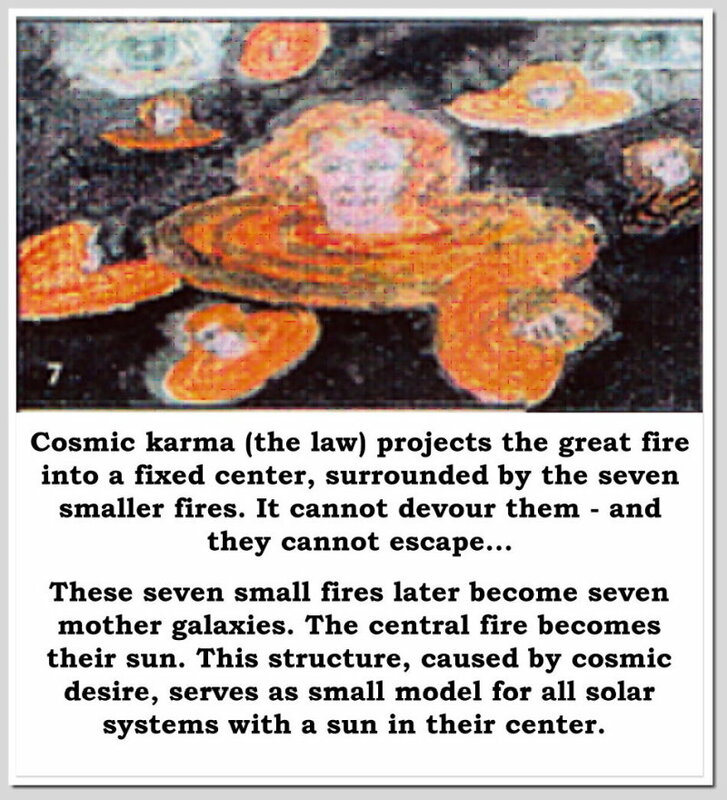 These seven small fires later become seven mother galaxies. The central fire becomes their sun. This structure, caused by cosmic desire, serves as small model for all solar systems with a sun in their center. 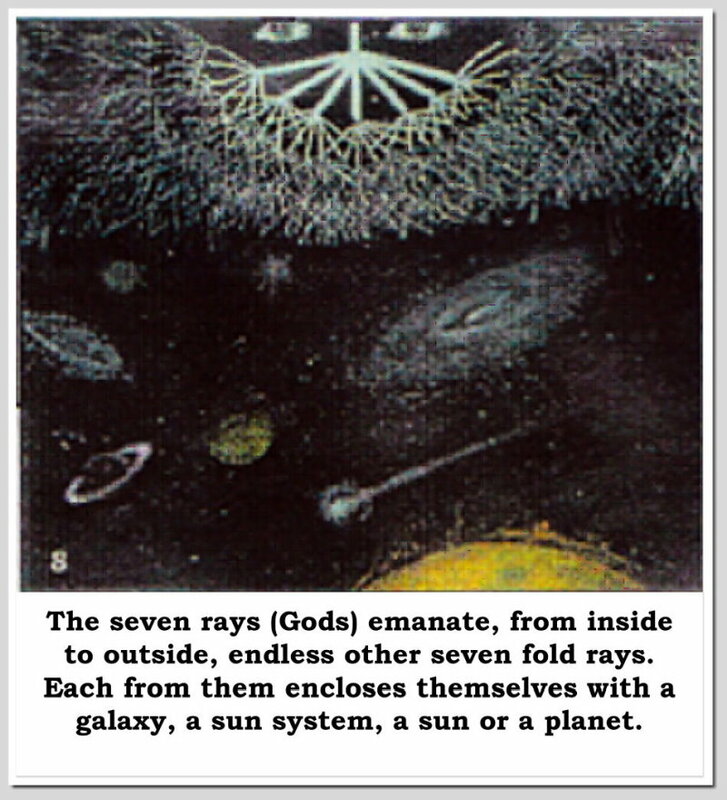 The seven rays (Gods) emanate, from inside to outside, endless other seven fold rays. Each from them encloses themselves with a galaxy, a sun system, a sun or a planet. 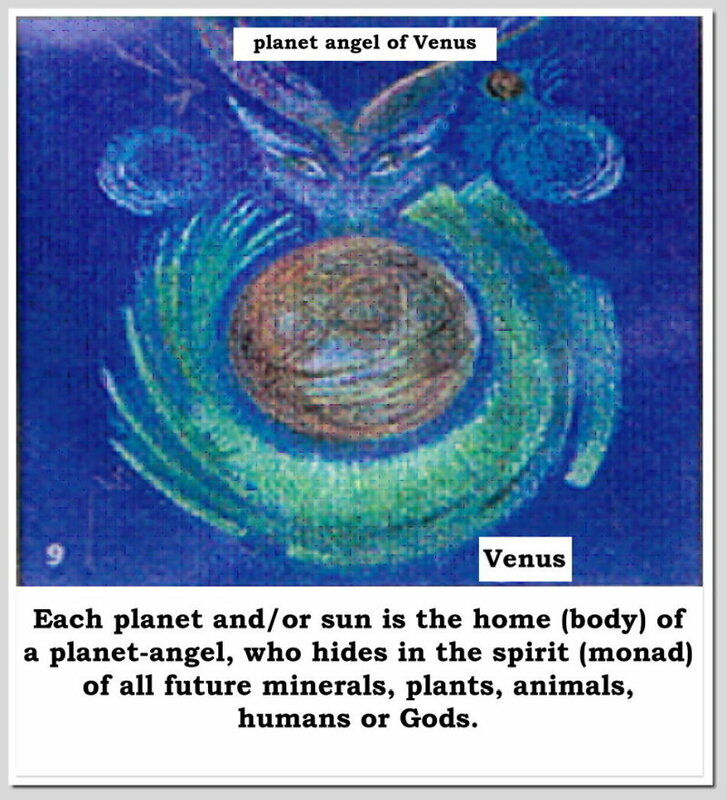 Each planet and/or sun is the home (body) of a planet-angel, who hides in the spirit (monad) of all future minerals, plants, animals, humans or Gods.